Through my art, I attempt to express and understand the complex identity of Asian Americans, considering both historical context as well as how prevailing stereotypes inform our experience in our current media saturated culture. My work especially looks at how stereotypes surrounding Asian women are commodified to sell a fantastical image of the exotic other, and to identify and analyze the visual language of orientalising signifiers that exist within western visual culture. 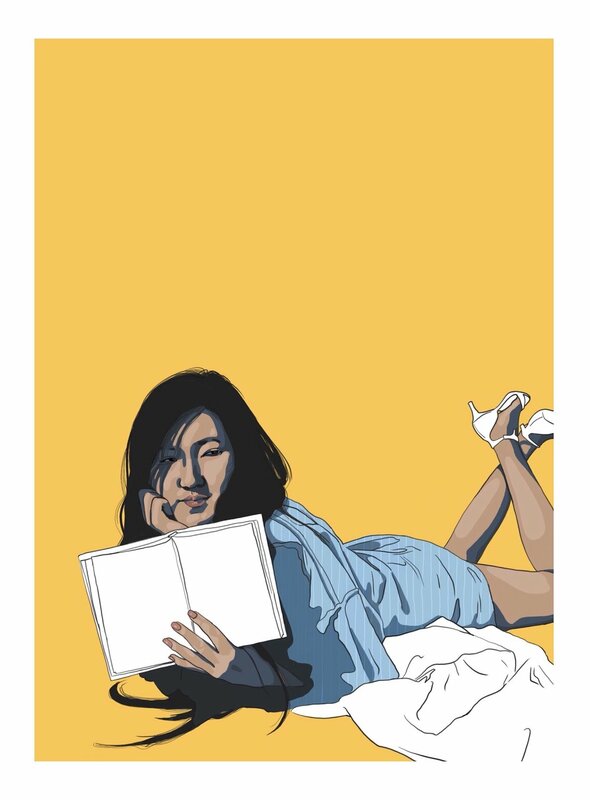 In this set of illustrations I am working with concepts of media and representation, or lack thereof, when it comes to the reality of the Asian American female experience. There is a sense of disconnect, within our inability to connect to pop culture as well as our feeling of lost roots. How are we to understand our identity in a culture which continually perpetuates a false, exoticized fantasy? What is our role in this power dynamic of white men viewing white women dressed in costumes that fetishize the stereotypes placed on Asian women? Christie Carrière is an artist from Toronto, ON.